Hmolandlady gets an early Christmas present! Last week, sitting down to open the mountain of post (bills and desperate mail order companies offering last minute not-very-thrilling discounts) there was a statement from my friendly but aloof, Housing Benefit department. For some strange reason they hadn’t paid Steve’s housing benefit last month but decided, even more strangely, to suddenly pay on Wednesday. If that wasn’t a happy enough bit of news, I then received a text from Tim saying that Steve was seen walking out with his meagre possessions to a waiting car. (“I was gonna confront him for you but the blokes in the car looked a bit big and I didn’t want to provoke a fight before Christmas. I could’ve ‘ad ‘em though” boasted Tim). Earlier in the week I’d finally got hold of Steve’s mum and we had a lovely long chat about what a nice chap he was and, if it wasn’t for the drinking and gambling, could be a really great son. I felt sorry for her as it transpires she’s spent years trying to help him and seemed exasperated by his latest disappearing act. So I sent her a letter enclosing a Voluntary Leaving letter for Steve to sign (I figured he’d at least turn up for Christmas dinner) and promised not to pursue court action if he signed it and sent it back in the SAE. His Section 21 expired on Wednesday and it was only due to my being busy with other matters that I hadn’t completed the N5 and N119 forms and submitted them with a £175 court fee. On the usual rent round today, Tim and I let ourselves into his room to find that he’d left all the stuff he didn’t want along with several ex-girlfriend’s knickers (I presume!) 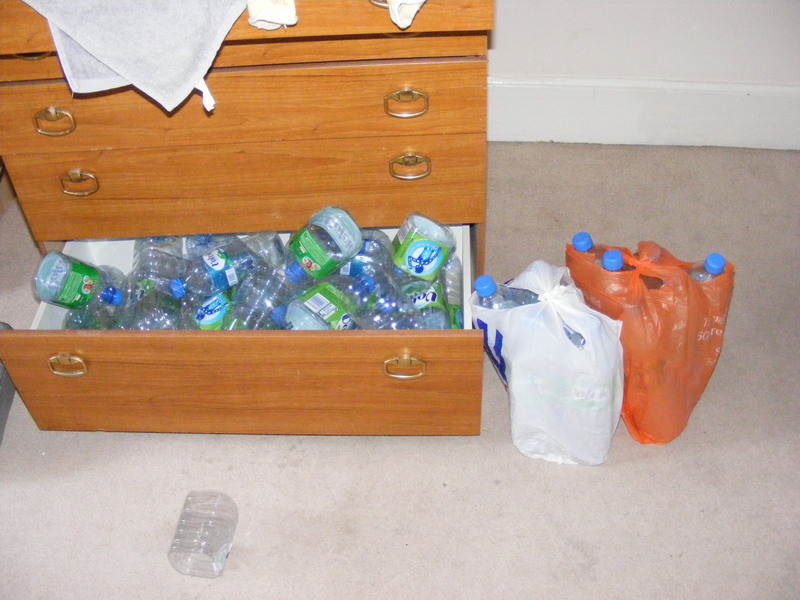 and an odd collection of empty water bottles. So, Christmas all round – I get the room back without the lengthy court process, Tim gets the job of refurbishing the room over the holidays (apparently his family STILL aren’t talking to him following an incident at a funeral earlier this year) and Jason, who is in the room, gets the opportunity to upgrade to a bigger room. Now, girls, would you want to spend a night in a room like this?! I leave you on this note: anyone got any idea what he was intending to do with the bottles?! We cleared five bin bags of them. Picture below. A Moral Dilemma – Is My Tenant Still Alive? Apologies for not posting last week – this being due to half term and not being able to get near the computer as the children felt that Moshi Monsters and Friv games were adding to their educational abilities. We also took some time out to go to the Peak District and admire the rock formations – THAT’S educational! Six weeks have now passed since I’ve had any contact with Steve. You may remember that he’s the tenant in one of my largest rooms priced at £100pw including all bills but, as he’d done well not smoking weed in the house and I thought we’d come to a mutual understanding on how to behave, I gave him a preferential rate of £90pw. Why? Because I still hadn’t learnt from the old addage “Give ’em and inch and they’ll take a mile”. After the marijuana incident (i.e. the whole street was mellowing under its influence the smell was so strong) and he’d asked to move into the bigger room, we got on well. Housing Benefit paid his LHA allowance direct to me because Steve had been/still is a gambling addict and he then paid £112 as a top up. He’s now 2 month’s down on his top up and nobody has heard sight nor sound of him. 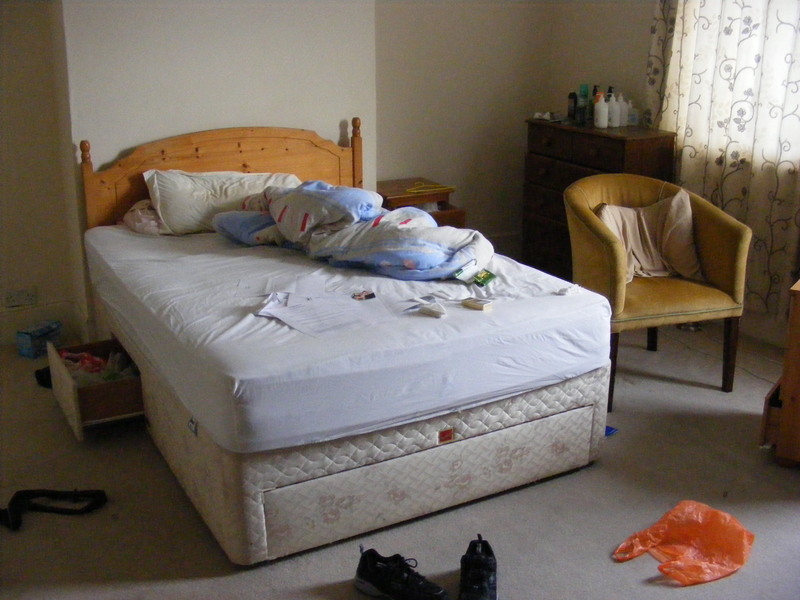 His post is still there, his pants are still in the drawer, some toiletries are still on the dresser and his bed looks like, well, any man’s bed who isn’t hoping to impress a girl. I’ve written to his guarantor and tried to contact his mother with no success. From a legal point of view, because he’d moved room but within the same property, I’d created a new tenancy which meant I had to serve section 21 notice for the end of his fixed term of 14th December. I was a bit annoyed as I’d received two legal viewpoints at the time from a landlord association: one told me to just get him to sign a letter acknowledging the move to a new room but it would continue as a periodic tenancy and another member of the team told me to create to new fixed term agreement and re-register the deposit. Confusing, but all paperwork has been sorted, served and is now strewn across his bed presumably in case he runs out of toilet roll. So, I’m in a dilemma. House is quiet and stable without him, I’m getting two thirds of his rent paid direct to me by the council and I don’t have the expense of refurbishing his room which is likely to cost £200 (new carpet and full paint). 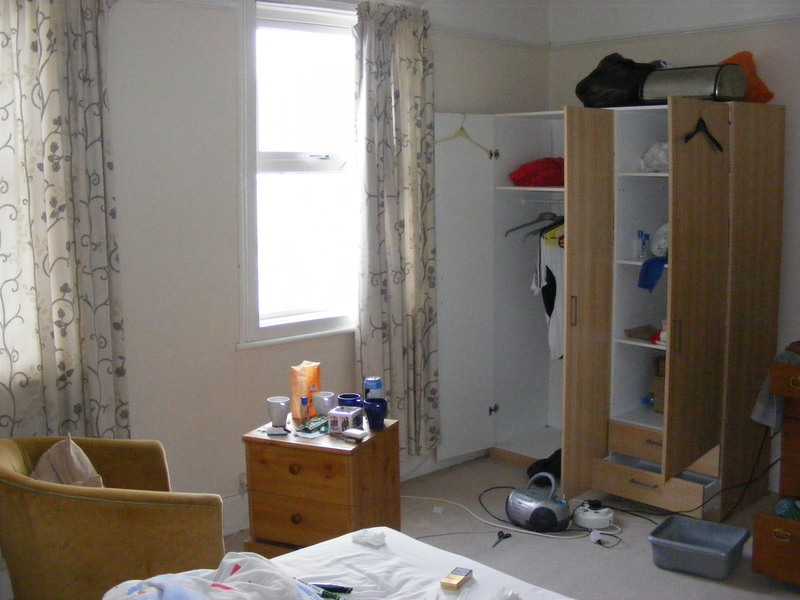 Do I consider the room to be abandoned (but I think there’s slightly too many belongings, albeit they’ve been undisturbed for six weeks); or proceed to get a court order if he hasn’t moved the stuff out by 14th December? Morally, I probably should be trying harder to find him as we’re a small town and people don’t just disappear but his phone’s ringing so he’s clearly still charging it. I do worry, with his history, that he could have come to a sticky end but hope a relative would’ve wanted to lay claim to his paltry belongings. However, I haven’t applied for a court order before so I’d like to be able to say I know how to do it. What would you do? Over the last 5 years I’ve given ASTs to around 10 homeless people recommended through the Salvation Army. Not the normal route of advertising you’ll agree, but I naively believed that rescuing a poor soul from the cold, mean streets, providing warmth/hot water and hoping that the influence of positive, working tenants may just pay off. Only one of those homeless people is with me today, the others cocked up the tenancy quicker than I could hand over the keys through bad behaviour, drug, alcohol or girlfriend abuse and the usual non payment of rent. Each was given a chance, several warnings and finally, for the sake of the other excellent tenants in the house, eviction. I’m no expert on homelessness and this is just my limited experience. So, not to be beaten, I’ve come up with another idea: Should funds come my way, I’m going to buy a big house for between 6 and 10 residents who are either homeless, ex-offenders or anyone else who can’t get a tenancy due to a bad reference. They’ll practice being a good tenant by learning to share communal areas respectfully, mastering cooking skills and how to wash up, tending a garden to provide for the kitchen, learn how to use a washing machine between the hours of 8am and 10pm, how to hand over their LHA (local housing allowance) bang on time and how to budget the rest of their money. On top of this they will be expected to undertake a set amount of hours voluntary work so they have something to get out of bed, washed and dressed for. If they can prove themselves capable of becoming a decent tenant, they can then apply for a room in one of my shared houses and, when they’re ready to move on, will have a glowing tenant reference, a work ethic and essential life skills. In my dream, it’ll all be happy and cosy and we’ll laugh round the piano singing old songs – but I know that if I make this a reality it’ll be a 40% success rate because, from my experience, having responsibility for one’s own life can sometimes be just too much. This post is not to elicit abuse or promote a debate, however if you have a spare half a million quid or words of support for the idea – I’m all ears! Every time I hear the words “reference checking” it implies mounds of boring paperwork which will never give you a true picture of your prospective tenant, only an overview if things aren’t quite right on paper. I’ve been prompted to write about this subject after a friend of mine asked me to let out her 3 bedroom property for her (for a fee!). The responsibility is huge and it forced me to look at my current tenant check process bearing in mind her tenants are hopefully going to be far more upmarket than mine. 4. Does the tenant have a bank account? A fairly good sign if so. 6. Gut reaction – this is a well honed technique from my Bed and Breakfast days. It hasn’t let me down and I’ve taken on people my gut told me I shouldn’t but they’ve provided me with the best stories! 7. Can they stand up to my version of the Spanish Inquisition? If they can hold eye contact, answer questions without hopping from one foot to another and don’t snigger when I tell them the rules of the house I know that we can communicate at the very least. Two people, oddly enough both named Steve called me, desperate for accommodation. Steve number 1 jumped through all my paperwork hoops, Spanish inquisition techniques and (I thought the impossible) a letter of rent guarantee. He turned up, bang on time, with a deposit, completed paperwork and 4 weeks rent – he is my hero and may just have enabled me to pay the mortgages next week. Later turned out to be my pain, see Steve Messes Up. Gut told me “no” based on him telling me he was an ex-gambler but I wanted to help and his actions told me he really wanted this. Half an hour later I went to meet Steve number 2. His paperwork was incomplete and had only managed his name, his work reference was abysmal (didn’t turn up to work in a hotel and nicked money, but the manager very sweetly invited me for coffee) and there was something just not right. He’d been referred to me by another tenant who met him through AA (Alcoholics Anonymous, not roadside assistance) but was scant on where he’d been for the last few months claiming the pub he lived and worked in had burnt down – presumably taking the forensic evidence with it. Decided to take Tom (one of my larger lads who had nothing better to do that afternoon) as I had my young son with me and felt Steve may decide to hit me when he found out I wasn’t going to let him in. I told him what I’d found out and, before you could say “you ain’t going in that front door, you scoundrel” he ran off down the road as fast as his legs would carry him!!!! That really is a first. I have a constant reminder of that day as I ruined my wheel trim (the silver disc that covers the nuts?) as I hit the pavement at speed because I didn’t want to be late for the appointment. Every time I look at that wheel I remember him and the importance of reference checking. Happy times.